Sometimes, in order to see the future, we have to take a look back. This is the case when we want to talk about Facebook Messenger custom Camera Effects. 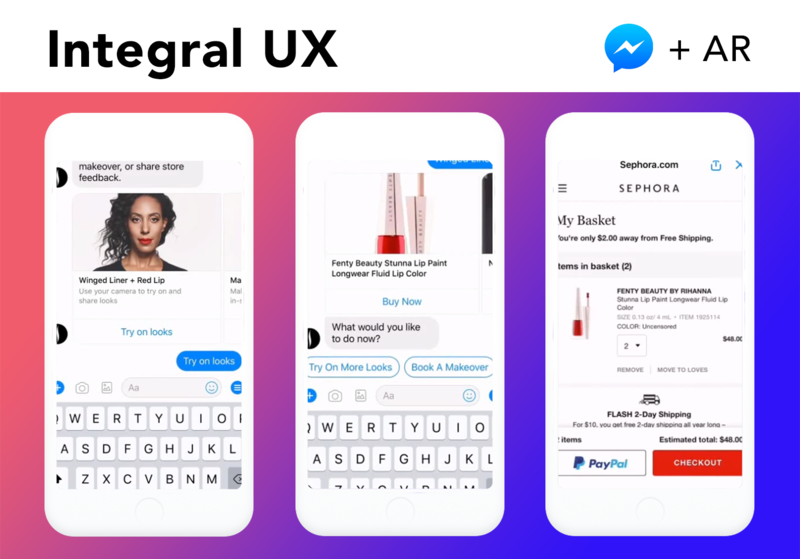 Announced in detail and with a few case studies during the 2018 F8 Conference, the integration of AR with Messenger Chatbots is still a longed-for functionality, which will enable brands to interact with their fans in an unprecedented way. The possibility to create AR for Messenger is not here yet, with Instagram Camera Effects (which were also announced during the conference) being in their beta phase. We can safely establish/predict though that 2019 will finally be the year of introducing custom AR effects to Facebook Messenger. 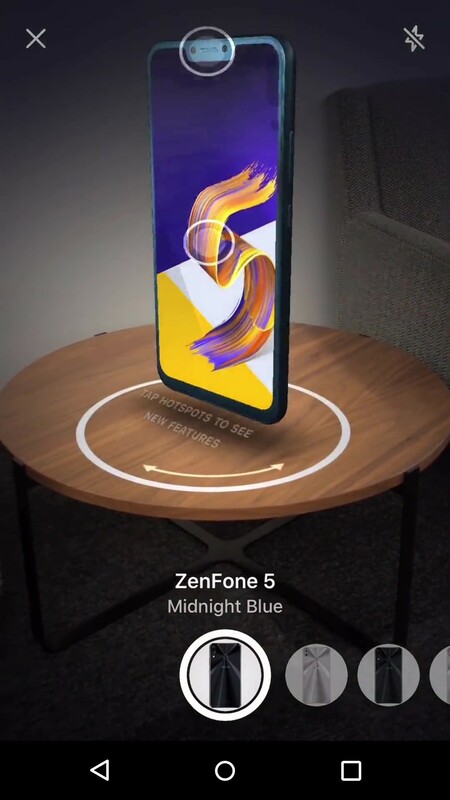 Now, there is no way to create custom effects in Spark AR (Facebook AR tool), which could be used directly in Messenger Camera, which means that even if there are some built-in filters there, brands are not able to order custom effects, like those presented during F8 Conference, developed for Nike, Sephora, KIA and Asus. There currently is a way, though, to somewhat effectively integrate Facebook Camera Effects with Messenger Chatbots. There are some downsides to it, but it is, in fact, possible to nicely implement AR in a Chatbot now. 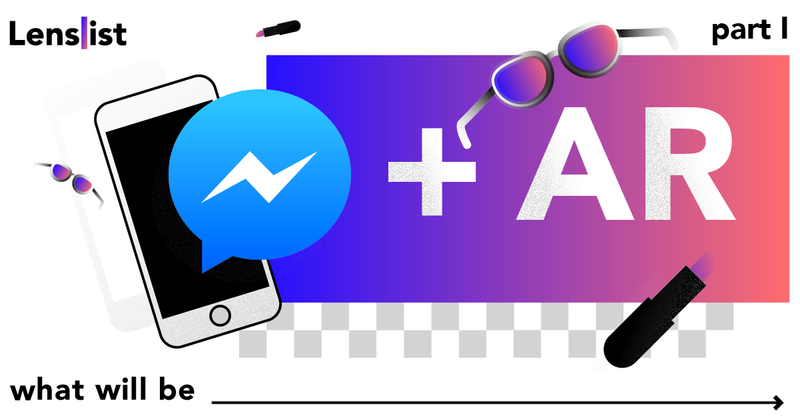 In the second part of this article (AR + Messenger: What Is Now), we will show you how to do it using some great examples from last year. But now, let us go ‘back to the future’ and show you ‘what will be’, using the case studies mentioned at 2018 F8. Augmented reality started as an entertainment tool, but it becomes more and more about utility. Integrating AR into such a smooth UX tool as Facebook Messenger gives an opportunity to use it as both customization and try-on mechanism. With the Nike effect, implemented into their Messenger Chatbot, it is like you’re looking at the new sneakers in the museum, but you can come closer and examine them down to the stitches. 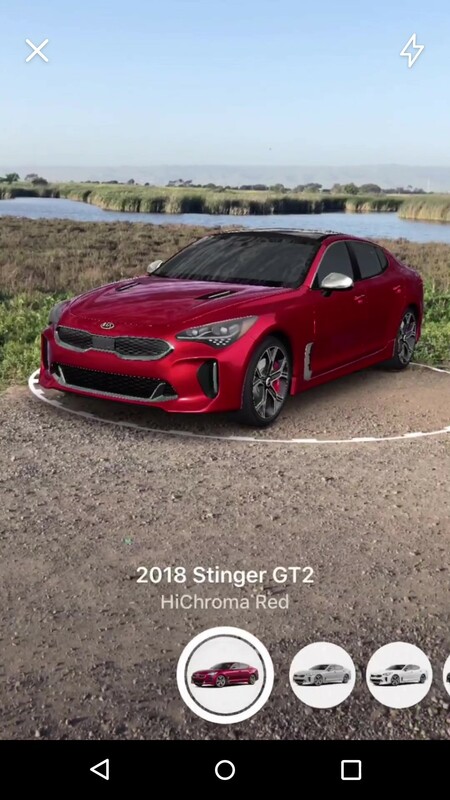 KIA lets you see how your new car would look like outside your garage, and ASUS effect is a “virtual unboxing”, which goal is to show Zenfone 5’s capabilities and new functionalities in the most exciting way possible. Sephora effect is one of those many beauty effects which enable you to try on different combinations of make-up in a few seconds. But, because those are inside a Chatbot, the brand experience doesn’t end here. Inside Messenger, you can forward people to a product’s website, tell them all about your offer or even organize a contest based on the AR experience. There are two vectors of communication on Messenger: with friends and brands, now, mostly those using chatbots as their virtual consultants. All those AR experiences, e.g. the look in a specific set of Sephora make-up, can be shared with close ones to spark a conversation. Asking friends about an opinion was never easier. It prompts a ‘network effect’, which is a powerful marketing tool unique to Messenger. Nike used it to create an aura of exclusivity and excitement about new Kyrie shoes: if you had a secret knock, you could send it to the bot and get the access to the sneakers which no one had seen before, share it with your friends and talk about them. Many people don’t want to share their stories publicly in Newsfeed, and as Messenger is the most intimate of Facebook’s means of communication, it is perfect for sharing their shopping plans and opinions. 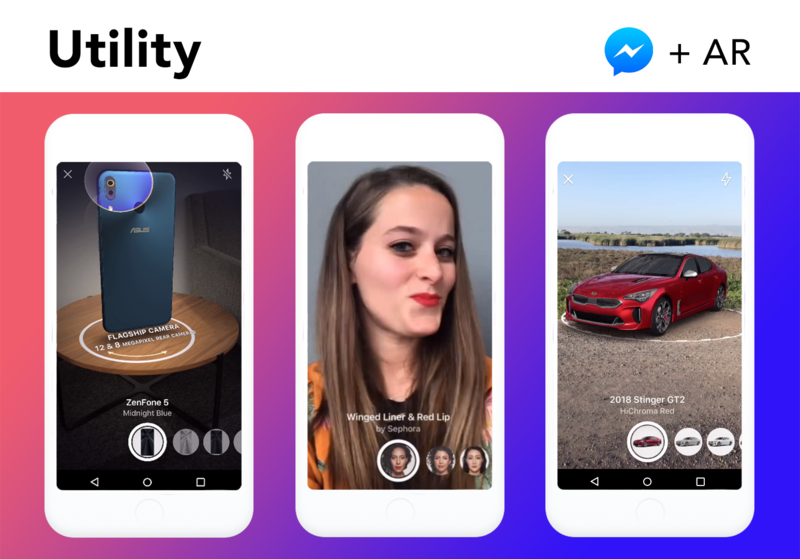 On the other hand, AR boosts Messenger’s ability to visualize and personalize objects of our discussions. Thus, using Messenger to distribute AR effects makes it easier to reach a bigger audience with a certain activation. 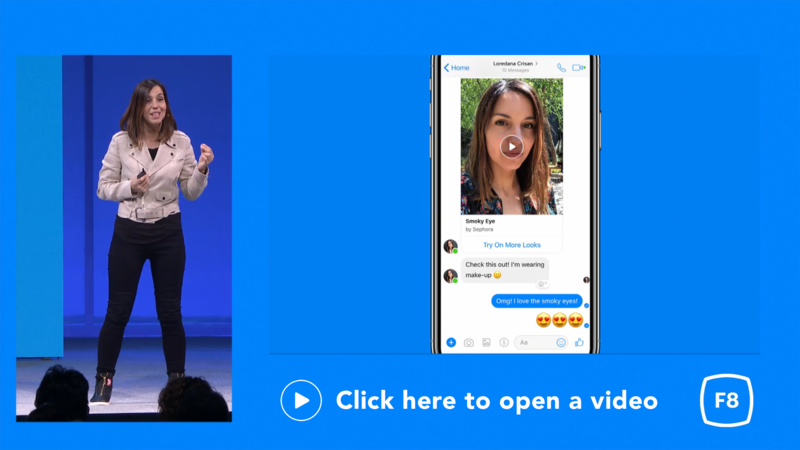 Implementing Camera Effects into a Messenger Chatbot lets you go beyond the camera: relationship with a brand doesn’t just end when the camera closes. The main principle here is to create a complete, end-to-end customer experience, from “hello” to “thank you for your purchase”. Sephora’s effect, for instance, gives you two options after trying on a look: to schedule an in-person makeover or buy the cosmetics online. And it all happens in a way so simple and so familiar to us: in a conversation. 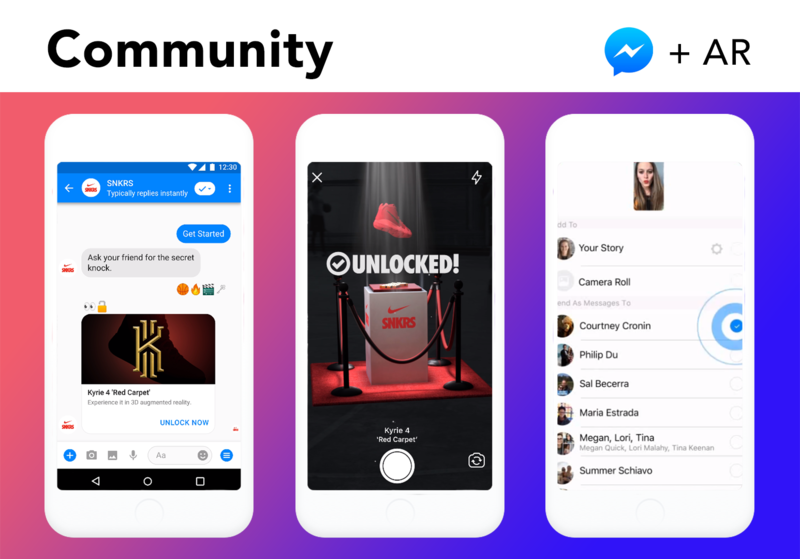 Messenger Chatbot, when used creatively, has the capability to become a layer underneath to create delightful interaction with your fans, blending all of different formats, with augmented reality being one of the most exciting ones. The last thing that you have to keep in mind when it comes to Chatbots is what a great way they are to establish and maintain contact with your fanbase (see this guide to know more). This is just another fact that makes them a perfect channel for your custom AR effect. Unfortunately, this is just how it will look like when branded AR effects come to Messenger. It doesn’t mean, however, that there is no way to use AR in Messenger Chatbots at all at the moment. We will show you how to do it in the second part of this article. Make sure you follow Lenslist on Facebook or Twitter so we can keep you posted!